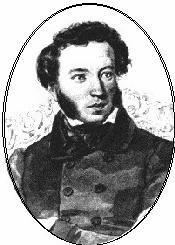 ﻿ Poetry Lovers' Page - Aleksandr Pushkin: "What's Up? Why Are You..."
You are here: Home » Russian Poets » Aleksandr Pushkin » "What's Up? Why Are You..."
ALEXANDR PUSHKIN: "What's Up? Why Are You..."
"What's Up? Why Are You..."
‘For her! For her!’ – ‘You’re shy, o, friend, my dear! But why have you in such a pine to be?